GTX 345 install staring at $6500! 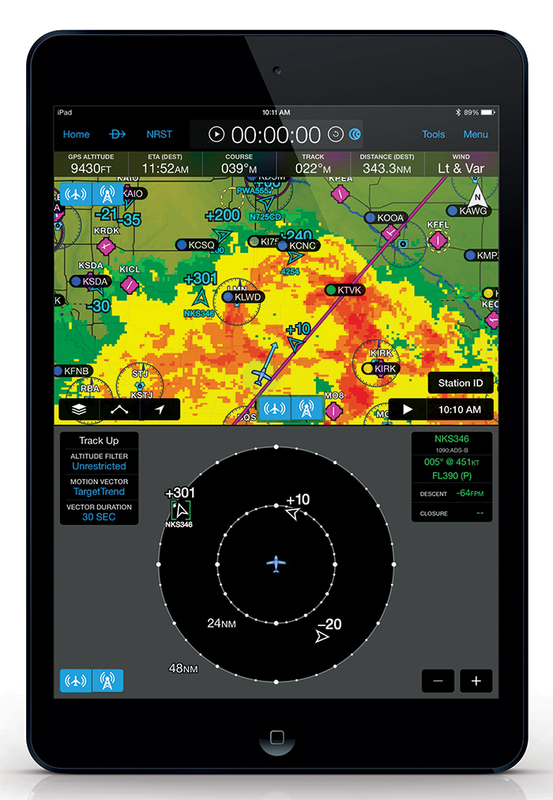 In addition to 1090 MHz ADS-B “Out”, the GTX 345 also makes available the subscription-free weather and traffic display capabilities enabled by ADS-B “In” — which can be interfaced with compatible cockpit displays or streamed wirelessly via Garmin Connext to our aera 796/795 series portables, as well as to popular tablets/mobile devices by way of apps such as Garmin Pilot™, or ForeFlight Mobile. The ADS-B weather link is continuously broadcast on the 978 MHz Universal Access Transceiver (UAT) frequency, and is similar to the basic services offered by leading commercial satellite weather providers. For example, you can access NEXRAD imagery, METARs, TAFs, winds and temperatures aloft, PIREPs, NOTAMs, and more1: Along with this, you can also receive ADS-B traffic position reports (and threat-level symbology) to help you see-and-avoid converging targets in busy airspace. Spoken audio alerts call out potential flight path conflicts (“Traffic, 10 O’Clock, same altitude, two miles”) to get you looking in the right direction. 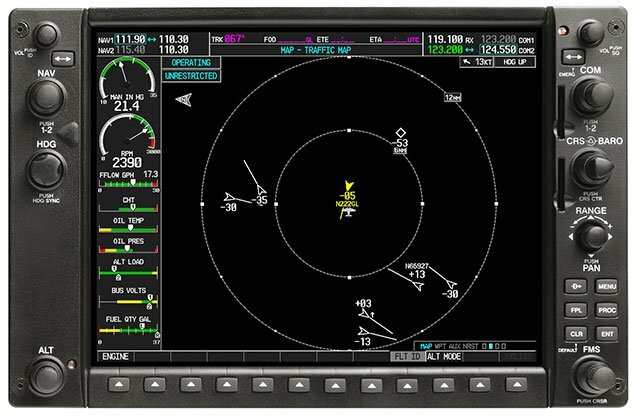 Meanwhile, on your display, Garmin’s patent-pending TargetTrend™ relative motion display1 offers a faster, more intuitive way of judging target trajectories and closure rates in relation to your flight path. As an added safety feature, available on most new Garmin products, our TerminalTraffic™ technology provides a comprehensive picture of ADS-B equipped aircraft and ground vehicles in the airport environment. 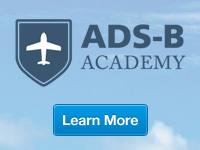 ADS-B equipped aircraft in flight are easily distinguished from ground vehicles and taxiing aircraft, which are displayed using distinct colors and symbols. All of this information is presented on a simple, easy-to-understand SafeTaxi® diagram which references the location of runways, taxiways, hangar locations and more. 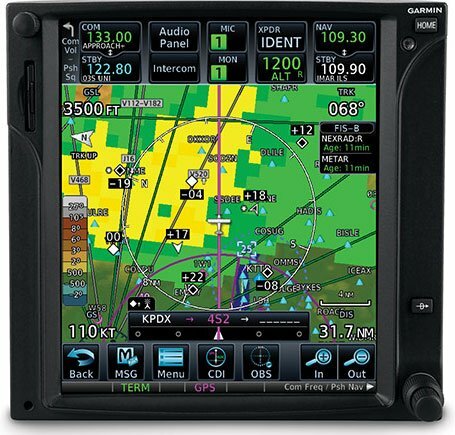 The Garmin GTX 345 series is being FAA approved for installation on hundreds of today’s most popular aircraft makes and models. 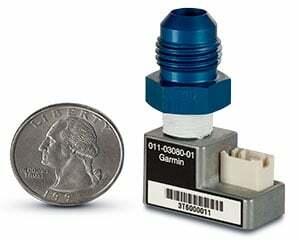 For decades, Garmin has led in the development and deployment of ADS-B technology. And when you compare all the options available, it’s clear that Garmin is committed to making your transition to ADS-B operations as simple, economical and worry-free as possible.